Is Your Budget Prepared For Next Month? It’s the last day of another month. Did I prepare a budget for this month? If so, how did this month’s budget go? What did we learn about our spending and income that needs to be incorporated into future budgets? Have I prepared a budget for next month? In a recent survey we conducted, 60% of respondents said they do not prepare a budget every month. 60 percent. No wonder people are struggling with money! Money is difficult enough with a budget – let alone attempting to operate without one. We asked survey participants “What is the biggest challenge you face in preparing a budget every month?” and received amazing feedback which is shown in the below chart. I found it very interesting that ZERO PEOPLE said “I don’t believe in budgeting.” Yet, 3 out of 5 people end up not budgeting every single month. Not enough time in the day. Be intentional with your calendar. Block out one hour each month to sit down (with your spouse, if married) and prepare a budget. Put a “reminder” notification on the calendar so you will not forget to do this! Don’t make enough money. This is the biggest money lie in the book. Change financial behavior to match your income. As Dave Ramsey says, “Act your wage!” You might have to make sacrifices now, but it will be worth it later when you are able to fund big-time dreams! Spouse won’t participate. This is perhaps the biggest challenge of all. Seek understanding as to why they choose not to participate. Do they carry money wounds and scars from their upbringing? Are there unresolved issues in other areas of your marriage? Life coaching or marriage counseling can be hugely helpful in resolving these issues. One thing that helps my bride and me work well together is the “set meeting” to talk about the budget each month. It allows us to keep very short accounts on any issues because we know we’re committed to sit down again the next month. Too frustrating and emotional. Money is indeed emotional because it is tied to the funding of our plans, hopes, and dreams. I encourage you to prepare a written list of these dreams and ensure you are always in the process of funding at least one of them. Don’t know how to budget effectively. Here is a YouTube video I’ve prepared to help you eliminate this reason. You can do this! My book and study – I Was Broke. Now I’m Not. – will help you prepare a budget that actually works and helps you maximize your money so you can fund your dreams. Learn more and purchase HERE. One of my favorite things to do is gardening and farming. I grew up on a farm, and I loved everything about it. From raising crops and a huge garden to feeding out cows, chickens, and hogs, I learned a lot about the principles of sowing and reaping. A great joy of mine is to have the opportunity to jump on a tractor (John Deere, of course) and raise some grain on my own farm. 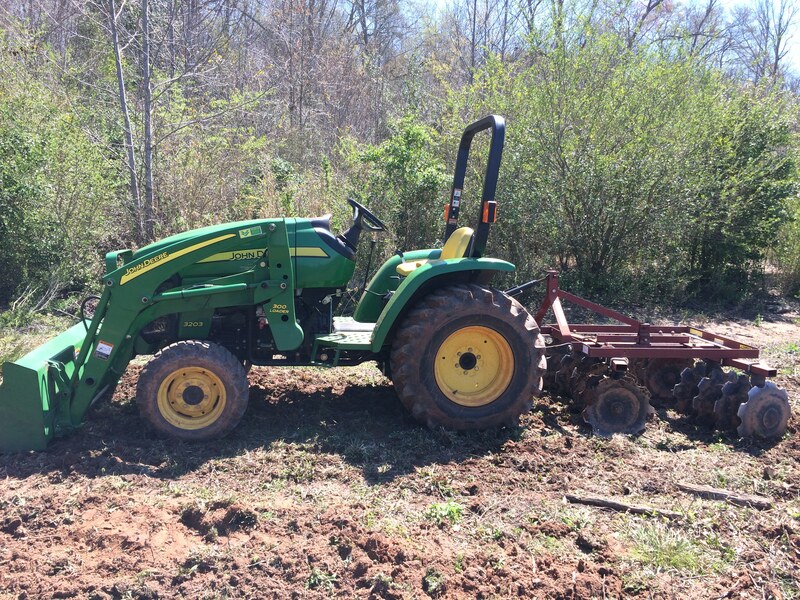 As I was tilling up the soil the other day, I thought, “I’m so glad we have the right type and size of equipment for this task.” I have the right size tractor and tilling equipment, and it made the work easy. How difficult would it have been to till up several acres by hand with a hoe and a rake? Virtually impossible! They are sick of living paycheck to paycheck, but they’ve chosen not to utilize the awesome tool called Automatic Saving. Are you working with the wrong tools? The I Was Broke. Now I’m Not. Study was created to help you maximize your money and apply the right tools to your finances. Learn more HERE.